Robert George Holland OAM (born 19 October 1946 in Camperdown, Sydney) is a former New South Wales and Australian cricketer. He was, because of his surname, nicknamed "Dutchy". On the 26th of January Mr Holland received the Order Of Australia award. Holland, who spent the majority of his cricketing life in Newcastle, was a late bloomer, and his Test debut aged 38 made him the oldest Australian debutant in more than half a century. 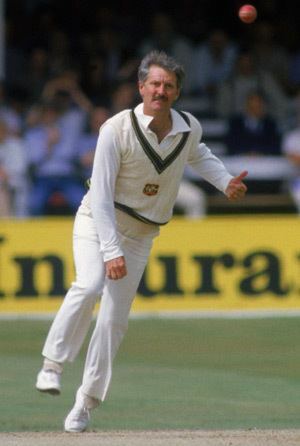 It was not until the 1978–79 season, aged 32, that the New South Wales selectors called up Holland to continue the state’s long tradition of leg spin bowling. He quickly formed an integral part of the bowling attack that made the state the dominant domestic team in the Sheffield Shield in the 1980s. Forming a spin oriented attack with Murray Bennett (left arm orthodox) and Greg Matthews (off spin), Holland was part of the team that won the Sheffield Shield in 1982–83, 1984–85 and 1985–86. Holland finished his first class career with a season with Wellington in New Zealand’s domestic league. When Holland was 15 he met Colin McCool, the player coach at Bemont Club. When Holland was 19 he played for Northern NSW against Mike Smiths' 1965-66 MCC team. He represented Northern NSW in 1975-76 against the touring West Indian side as an opening batsman. Holland made his Test debut in the Second Test of the 1984–85 Australian season against the West Indies cricket team in Brisbane. He was relatively unsuccessful, taking 2/97 and scoring 6 and 0 as Australia suffered an eight wicket defeat. He was retained for the Third Test in Adelaide, but after taking match figures of 2/163, he was dropped. 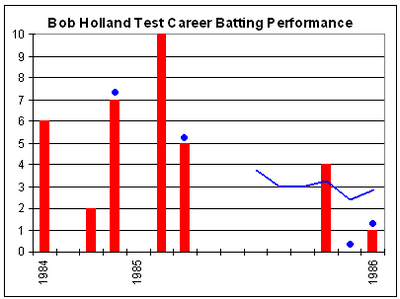 Holland went back to New South Wales and continued the form which had gained him Test selection in the first place. This included a tour match victory over the West Indies, after which both Holland and Bennett were selected for the Fifth Test at the Sydney Cricket Ground. The selectors had felt that the uncertain performance of the Caribbean batsmen during the tour match showed that they had a weakness against spin bowling, and introduced a "horses for courses" spin oriented attack on a dry Sydney pitch. The West Indies had crushed Australian opposition throughout the summer, winning the first three Tests by an innings, eight wickets and 191 runs respectively. Furthermore, in the fourth Test, Australia had slumped to 8/198 chasing 370 to narrowly avoid defeat when time ran out. With pundits expecting another Australian failure, they won the toss and amassed 9/471. The West Indies were reduced to be all out for 163, with Holland taking 6/54 including Viv Richards, Desmond Haynes, Larry Gomes and captain Clive Lloyd. Forced to follow on, they fell for 253 in the second innings with Holland taking 4/90 to complete a ten wicket match haul. The New South Wales pair perplexed the tourists, taking 15 of the 20 wickets, as Australia took an unexpected innings victory. Following his spin success at the SCG, he was selected to make his ODI debut on the same ground against the same team in the subsequent triangular tournament. With 0/50, he was the most expensive bowler in the match and did not play again in the season. 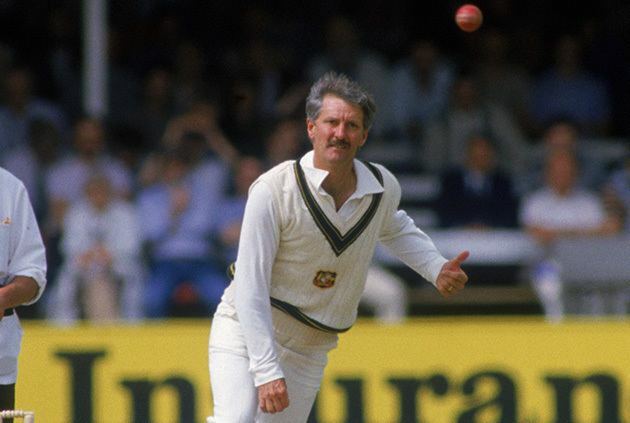 He was selected for the 1985 Ashes tour to England, but only had sporadic success. In the ODIs, he played only in the first match at Manchester. He took his only ODI wickets with 2/49 as Australia won, but was the most expensive bowler and was dropped. He was not selected for the First Test, but was recalled for the Second Test at Lord's. He took 5/68 in the second innings, breaking a stubborn century partnership between Mike Gatting and Ian Botham to take the last four wickets and ensure Australia had a small target to chase, which they did successfully. He was used mostly as a defensive option, and took few wickets with only a further wicket coming for the cost of 355 runs in the next three Tests, after which he was dropped for the final Sixth Test. He had another highlight upon his return to Australia for the 1985–86 season. After conceding 106 runs without success in the First Test as Australia lost by an innings, Holland took a 10 wicket match haul against New Zealand at the Adelaide Oval, as Australia took a four wicket win to avoid being whitewashed by their neighbours. He took 6/106 in the first innings to reduce New Zealand to 9/169 before 4/68 in the second ensured Australia was able to chase the target. He managed 3/90 and ended a run of five consecutive ducks in the Third Test but it was not enough to prevent Australia's first and only series loss to New Zealand. He was dropped for start of the series against India but was recalled for the Third Test, where he played his final Test. He failed to trouble the spin-proficient Indians, taking 1/113 as they amassed 600 and pushed for an innings victory when time ran out. 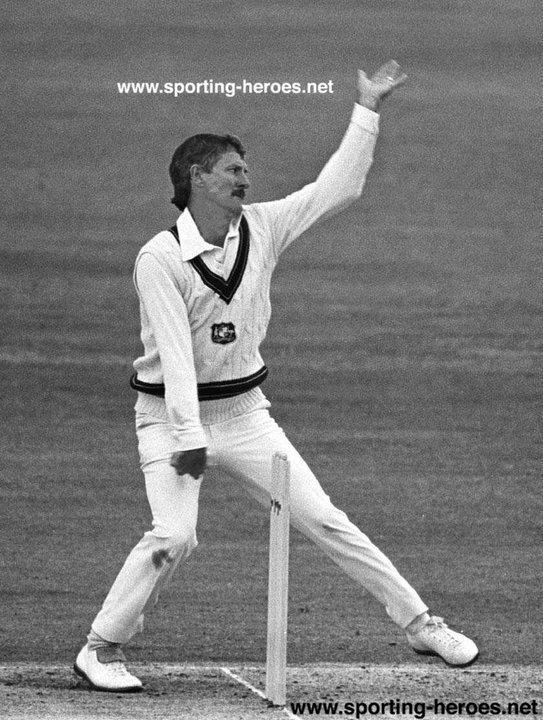 His Test career spanned eleven Tests and consisted of unpenetrative streaks interspersed with wicket taking bursts. He took 34 wickets at 39.76, but excluding the Tests at Sydney, Lord’s and Adelaide respectively mentioned earlier, the other eight Tests yielded only nine wickets. Holland was overlooked for the tour of New Zealand and India. Cricket writer Phil Wilkins said that "ignoring Holland for India seemed indecent with its excessively demanding conditions and the siege mentality which so often applies to the game with its consuming hours of waiting and watching and working." "I found I was very tired towards the end of last season," said Holland in October 1986. "I lost that bit of zip in my bowling, I was not doing enough to get people out, I was not spinning the ball as much." At the beginning of the 1986-87 summer, Holland expressed interest in being available for Australian selection. However he was not picked, the selectors preferring Greg Matthews, Peter Sleep and Peter Taylor. His bowling was marked by use of flight, a disciplined length and a variety of leg breaks and topspinners and a googly that was used relatively sparsely. He took 316 wickets at 31.16 in 95 first class matches. His batting was poor, averaging 9.67 at first-class level. 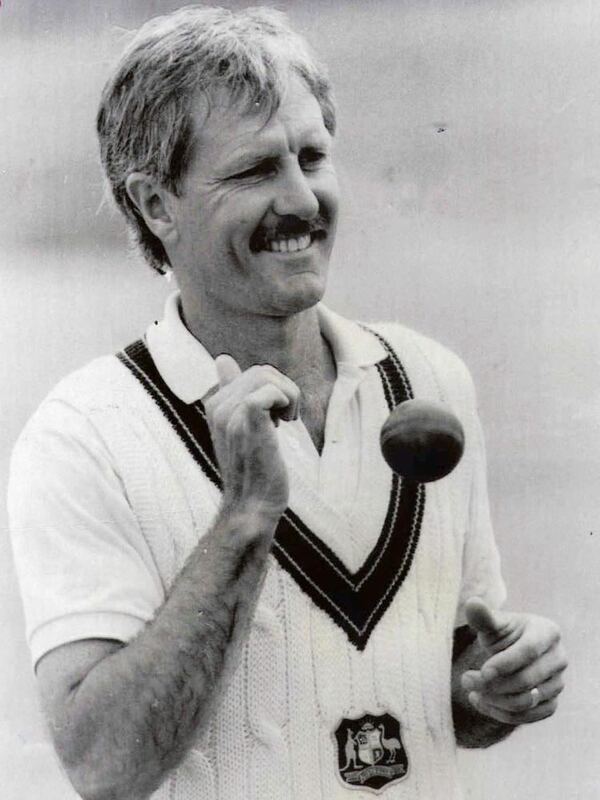 He made five successive Test ducks, an unfortunate Test record he jointly holds with Ajit Agarkar and Mohammad Asif, in a career yielding 35 runs at an average of 3.18, but a defiant resistance effort in the 1984–85 Shield final helped ensure a New South Wales triumph. 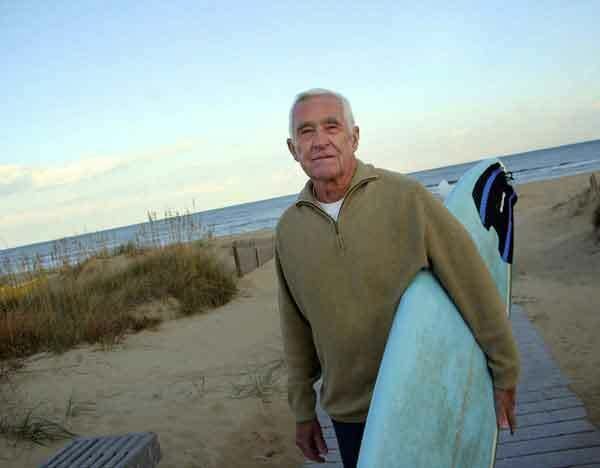 Holland, a recently retired Civil Engineering Surveyor, is married to Carolyn, with three adult children named Craig, Rohan and Naomi. Dutchy's son Rohan, was named in honour of his all-time greatest cricketing hero, Rohan Kanhai, the former West Indian cricketer whose on field brilliance saw him represent The West Indies Cricket Team for 79 test matches, many of those as the West Indian Captain. Robert now has 5 young grandchildren. One of his grandchildren, high school student Thomas Holland, also of Kilaben Bay in Lake Macquarie, NSW, was selected in 2014 to represent Australia in baseball (Under 15's). The former Australian cricketer now devotes most of his time to his two lifelong passions, his childhood and still local cricket club, Southern Lakes Cricket Club (Now known as Toronto Workers Cricket Club), a successful and progressive club in Toronto, NSW. The club, enjoys encouraging and sponsoring promising foreign and domestic cricketers to play with them during the upcoming seasons. 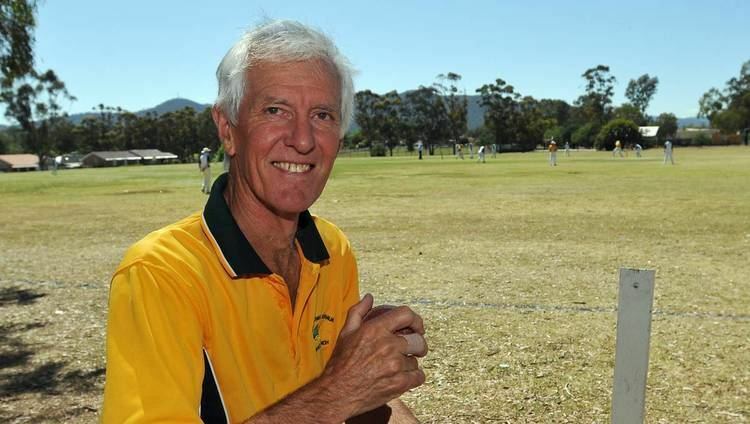 Holland is also a keen bowling coach who enjoys passing on his secrets to the new cricketing generations at high schools and coaching clinics around Australia. In an international cricketing era where there were many instances of abrasive on field behaviour, Holland was especially known and regarded for his sense of gentlemanly conduct and commitment. In August 2016 Holland and his wife were assaulted and hospitalised in Lake Macquarie. Holland had asked a man and a woman to stop riding motorcycles on the cricket ground where he volunteers as a curator. In April, 2017, Holland removed a brain tumour, which was later diagnosed with brain cancer in July, 2017. On September 15th, 2017 a benefit night is to be held to help raise money to fund treatment, which is to be hosted by Mark Taylor. A number of former teammates including Greg Matthews, Trevor Chappell, Wayne Phillips and Murray Bennett will be in attendance.. This in addition to a crowd sourcing page to help raise the $45,000 required.